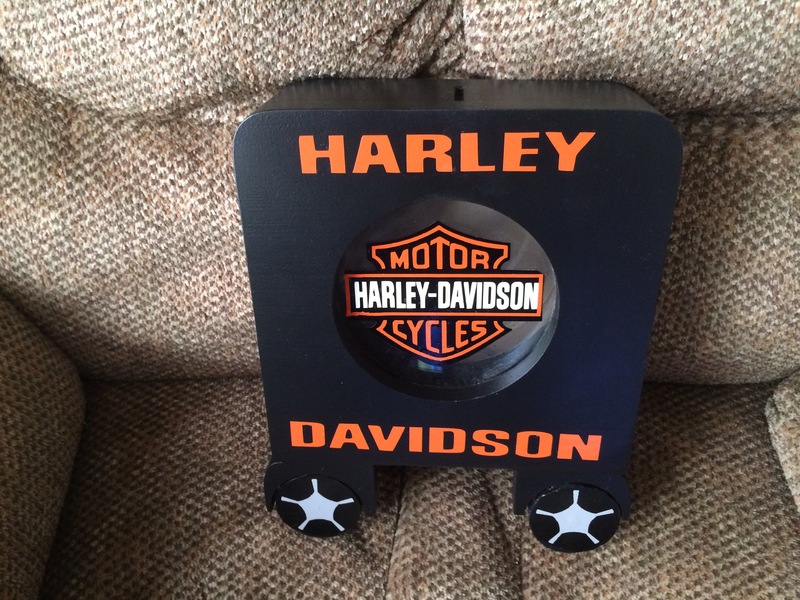 This started when a friend wanted me to design a special Pittsburgh Steeler bank for him. 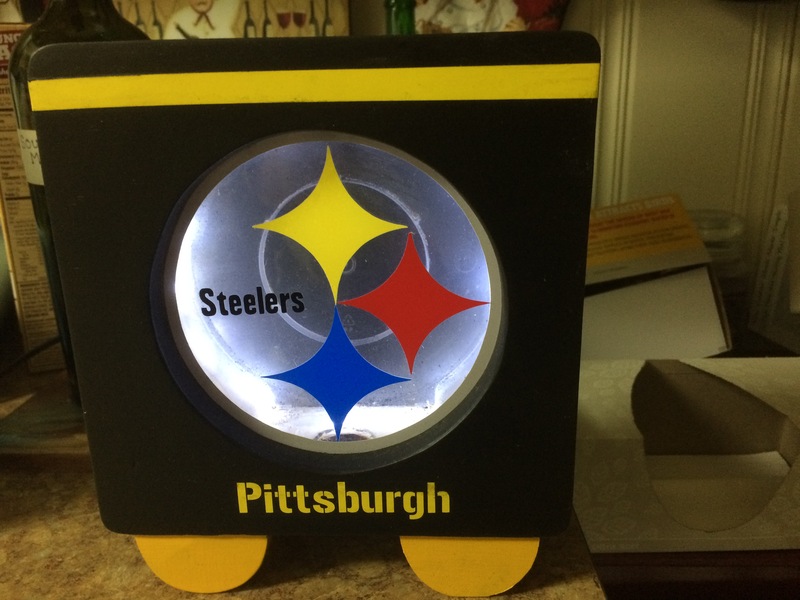 He wanted it to display his team logo, something about Pittsburgh and be lighted. Now that was a tall task, but I spend a few days designing it, a couple of weeks making it, and then presented it to him. He is constantly showing it off, and when he went home to Pittsburgh for Christmas, everyone wanted to buy it from him. Here is his lamp. I made it to look like the little shuttles that are used for tourists. 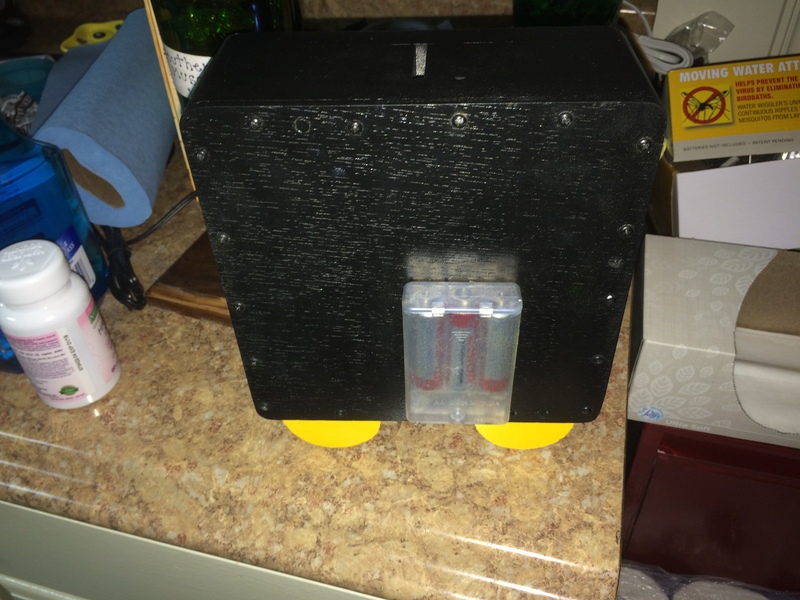 It has lights inside and a battery pack on the back. 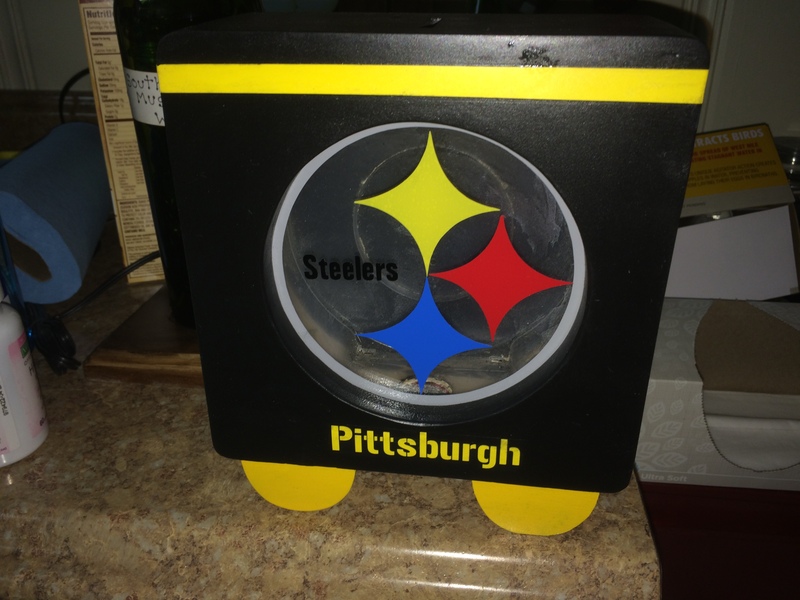 It is also a bank and the money can be seen through the clear plexiglass front with the Steeler logo. 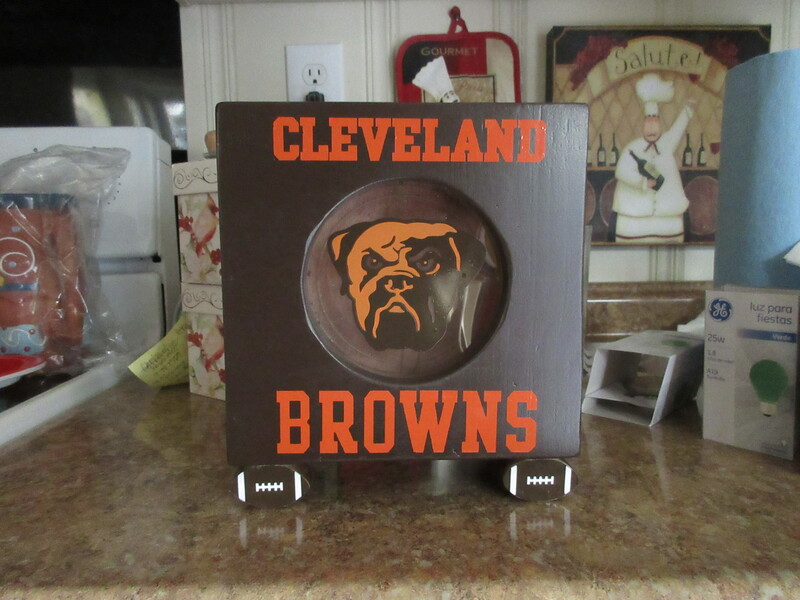 A friend saw the bank I made for Joe and wanted one made for his son who is a Cleveland Browns fan (for some reason). 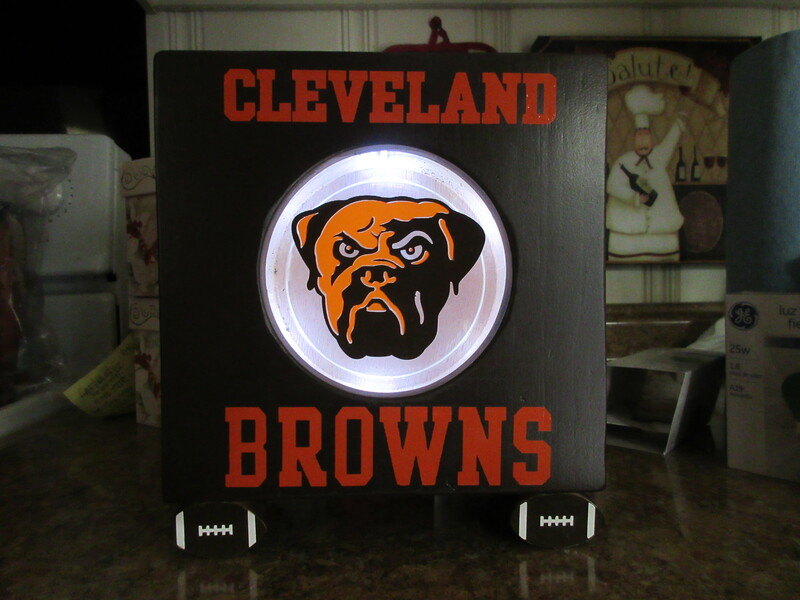 I made it with the Browns colors, footballs for the legs and a “Dog Pound” logo. 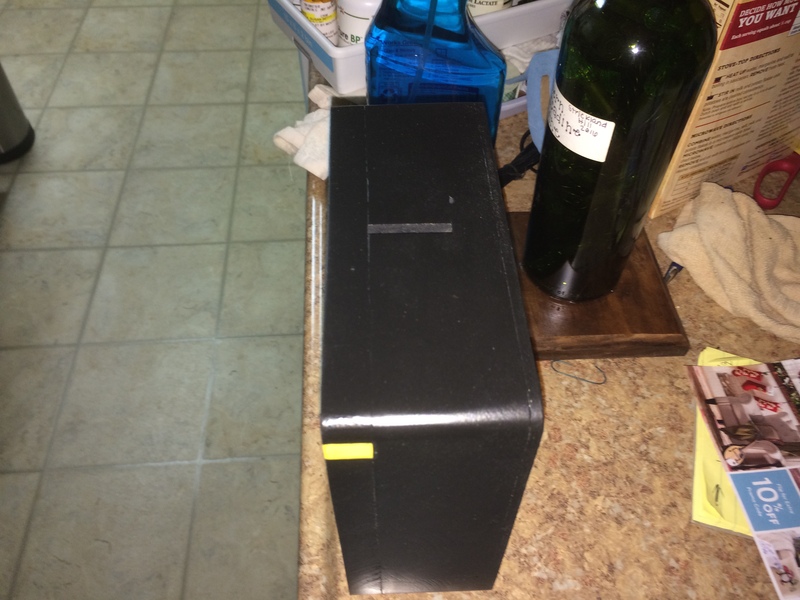 It too lights up and is a bank. 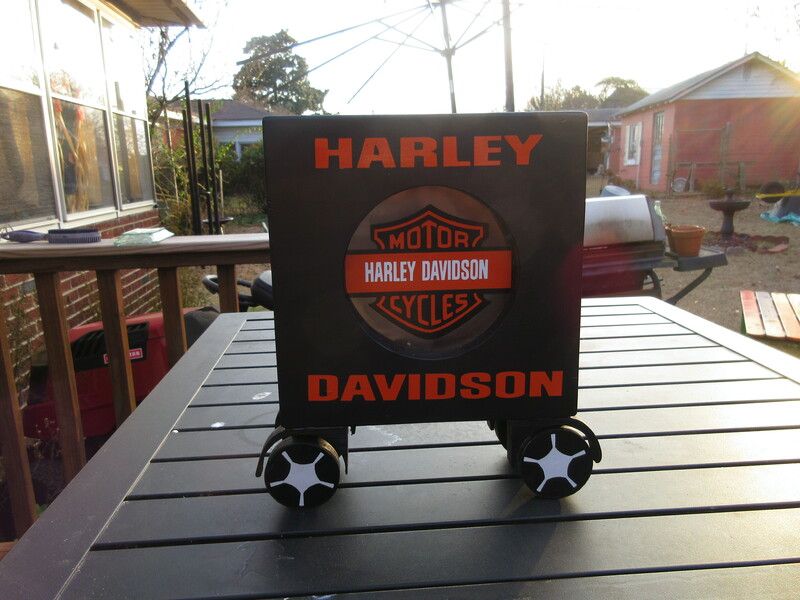 Of course, like anything that people like, I was almost immediately asked to make a Harley Davidson version. 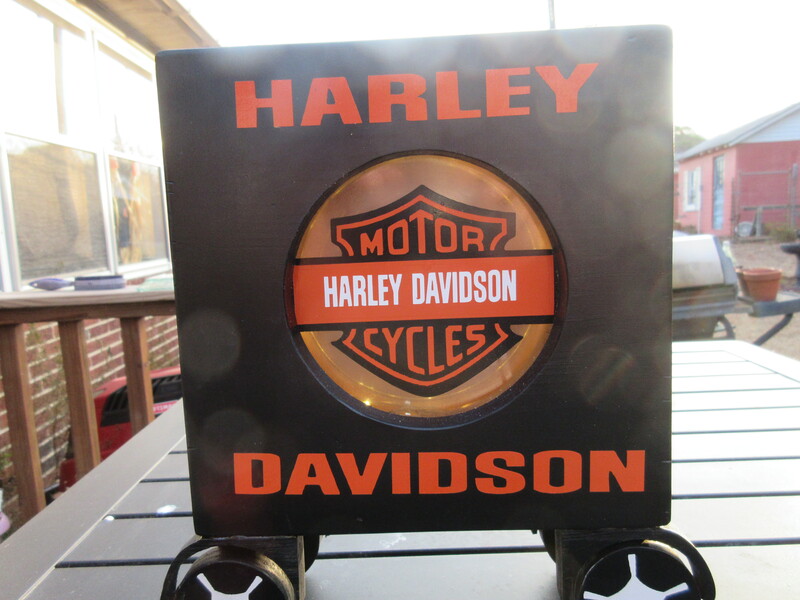 It has the logo, plexiglass bank inside, and is lighted from a battery pack on the back. The money goes in the top and the coin removal plug is on the bottom. I make wheels and fenders to give it the bike look. The second version has a more rounded top that the first one I made. I think it looks better.